About a month ago I was taking my daughter to her gymnastics class and I noticed that one of the kids in her class were trying to get there moms attention but mom was on her phone and totally ignoring the kid. I felt really bad for the kid as she was trying so hard to get her attention. It was at that moment that I made a promise to myself to be a more attentive mom. When I am at gymnastics if I can see my daughter out the viewing room window I make sure I watch her and that every time she looks up she sees me watching her. When I can't see her that is when I can look at my phone. At night we have started a new tradition/bed time routine. I went and got a kids novel its 3 stories in 1 and its 33 chapters long. Every night we read a chapter of the book before bed while cuddled up. Sometimes if we are at a good part we will read 2 chapters. I find that since doing this L has been going to bed so much better than in the past and looks forward to our reading times. Mother daughter dates! I have been trying to do a mother daughter date at least 1-2 times a month with L. We go to dinner or do something fun just the 2 of us next month we are going to go to Paw Patrol live together! L is super excited about this. I am trying to put my phone down and or work down more often and playing with L wether it be a tickle battle playing a game or watching some video about something she was interested in. If I do anything at all anything that could make a difference with my girl I hope that being more present in her life and showing her love in ways other than heres a new toy or let me buy you this I want her to appreciate time and time spent with me and other people in her life I want her to value things like that more so than valuing the things I buy her. I have to say since I have implemented some of these rules or guidelines for myself I have seen a big improvement with L and her moods and how much we used to fight compared to now. She has been helping more and listening so much better. Hopefully this keeps up and I can raise a great kid! Keto Week 4 How I'm feeling my thoughts on Keto! So today was weigh in day and I was up pretty early this morning used the washroom and stepped on the scale and was super surprised at the number in a good way! Happy dance commence! To be honest I have never felt this good on any way of eating before. I am almost never hungry and when I am I eat, I don't snack anymore I eat 2 meals a day sometimes 3 but mostly just 2. It is very rare for me to eat after 7pm now which it used to be snack central in this house hold at night. I am starting to understand my body and self a lot more and better. I am more in tune with how I am feeling. The one thing I have noted for myself and realized is that on any other WOE I have never not been hungry I was hungry all the time. I was also always crazy tired I thought that being tired was just the way my life was going to be. I was always dying for a nap at 1-2pm. This has totally changed which makes me love this way of eating even more! I am having so much fun experimenting with food I have been cooking all the meals for my family which has made doing this so much easier and everyone is loving the food! I can't wait to see what happens in the next couple weeks I am sticking to this until I hit my goal and beyond no more yucky carbs for this girl! So on September 21st I started my journey on a Keto Lifestyle change (I hate calling it a diet) I am currently on my 3rd week or Keto which If you don't know what Keto is I will put a link to the definition here (Click Here). Basically Keto is a high fat low carb moderate protein way of eating. You are basically living on the carbs you get from veggies than carbs you get from other foods. You are teaching your body to burn fat for energy instead of burning carbs for energy. The first week I wasn't totally Keto I was adjusting to the new way of eating and figuring out what I should and shouldn't be eating so I did eat some stuff that I really shouldn't have but its a real learning curve. Another important thing if you are looking to start a Keto lifestyle is to do your research and by that I mean there is a lot of research you should do. It's very important to know some of the things that can happen to your body when starting this way of eating such as KETO FLU! It is very important that you get your electrolytes in as your body wont be able to hold onto those as much on this WOE. I have to say that I actually feel great I have so much more energy now than I did before. Before Keto I used to drink 3-6 cups of coffee a day now I drink a max of 2 coffees a day now and I don't have a crash at 1-2pm anymore I can go the whole day with full energy! My crash time now is at 9pm which I mean isn't bad now that I am waking up and ready to go at 6-7am. Another change I have noticed is that I am not hungry all the time! this is a big thing for me I have tried other WOE such as weight watchers and I found I was constantly hungry. I eat 3 meals a day Breakfast, Lunch and Dinner and sometimes I have a small treat after dinner when I need a little extra fat such as a Fatbomb. The first week you loose water weight which I lost 5.6lbs the first week. Everyone is different but some people like me stall after the first week as our bodies heal and adjust themselves. I have lost inchs even though the scale isn't moving and I just feel a lot better! Feeling the way I do in these first few weeks has made me want to keep going and I plan to make this a lifestyle change and my way of eating from now on. I'm all in! Well it's been a hot minute since I have been on here and actually posted something! Life kind of took over and It left no time for me to take time to write on here. L got her wish and now has a Youtube channel so we have been pretty consumed with that as well as work and life in general. This past weekend I have decided that I really need to make the change in my life and I am starting a Keto lifestyle (I hate saying Diet). 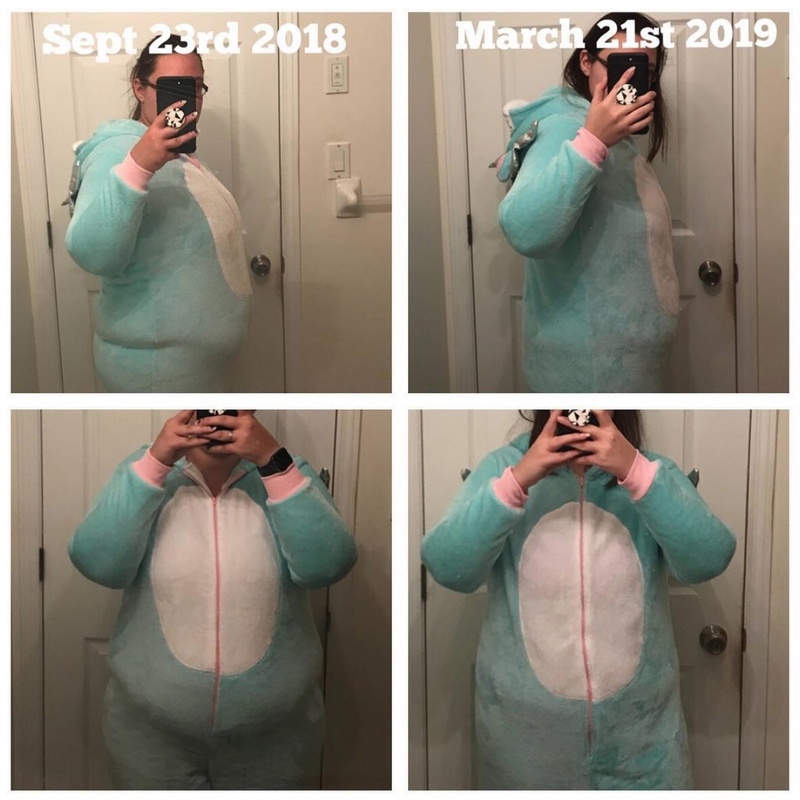 I am feeling pretty good about it and have been doing a lot of research and joining different Keto groups to help with the process. I am all aboard and ready to go I am all in I need something in my life to change and I am making it change. I am saving for a house I am changing my lifestyle and I am going to be a better me. So Hello again I don't know how much I will be on here but I hope to do at least a few posts coming up but who knows. No review today I have some in the works just not finished with them yet. So I thought I would do just a little update kind of post. L has decided that she wants to start her own youtube channel which I am ok with so we may start that soon just figuring it all out right now. We started an instagram page for her as she's also interested in modelling and my dad thinks she would be a good one. So thats basically all that has been going on the last little bit which is super lame and boring but will update again later on.